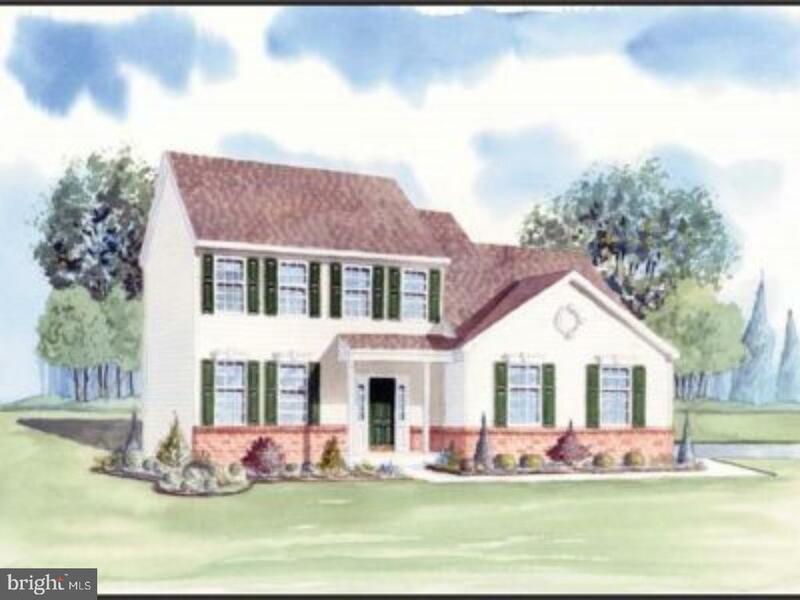 Sussex, Kent & New Castle Delaware Homes. There are currently 948 New Delaware Single Family Homes for sale. 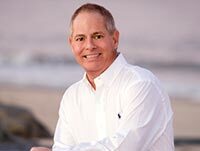 We are your Sussex, Kent & New Castle Counties Delaware real estate specialist offering ALL New Single Family Home sales for sale in Sussex, Kent & New Castle Counties Delaware Real Estate For Sale. Selling? Be FIRST to have YOUR PROPERTY FEATURED on Delaware's #1 real estate website. Come in and see why the Sea Isle Ranch is our hottest selling model. 2 guest rooms with a shared bathroom and a Master Suite on the first floor. A wonderful floor plan that includes a dining area with a tray ceiling AND a covered patio that can easily be coerted to a screen porch or all seasons room. Ask about our optional 2nd floor loft with private guest quarters adding 800 sqft to the home! A 2 car garage is also included with additional storage space above! Special incentives include closing cost assistance & free options. Ask onsite sales manager for more details! This home is to be built, photos shown include some optional upgrades. Please Note: Onsite sales representative represents seller only. 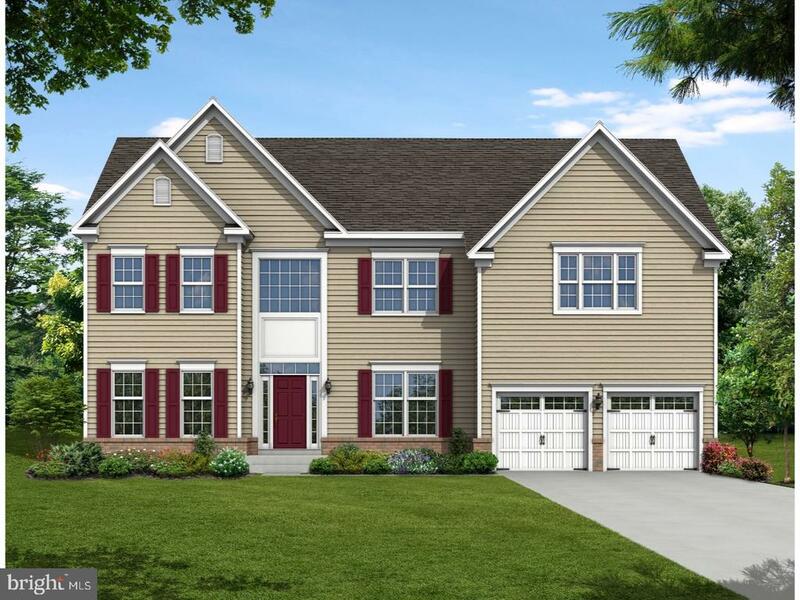 THE 5 BEDROOM Fairfax II.MAXIMUM SPACE MEETS MAXIMUM STYLE The 5 bedroom Fairfax II floor plan offers a stylish open concept floor plan that maximizes all available space. Beautiful formal living and dining rooms make for a stunning focal point upon entering the bright 2 story foyer. Rounding out the welcoming entrance is the neatly tucked away powder room and generous office space. The kitchen and great room are sure to be the heart of your home with an openness that allows for nourishment and entertainment easily. The upstairs living quarters include a beautiful owner's suite including 2 walk-in closets and a private bath completed with dual vanity, 5 - foot shower and corner garden tub. Finishing the quarters is simple with 4 spacious bedrooms and a hall bathroom, making it easy to be all together with a sense of privacy. This is a to be built home. Lot premiums may apply. **Photos are of similar home. Townsend Village is located in the acclaimed Appoquinimink School District and is commutable to points north or south. A town park within the confines of Townsend Village provides activities for all. Quality constructed by an industry leader and creating eiable communities that are not only stylish but stand the test of time. The Dalton is one level living with the open concept living and split bedroom floor plan. Add the upstairs for more living space and expend with a morning room or screened porch. Includes a whole house water system. Only 14 homesites available in this close to the beach community . Be a part of our newest community, Seagrove, developed by award-winning Natelli communities. 191 single-family homes in an unbeatable location off Irons Lane one quick turn off of Route 26 and you are in downtown Bethany Beach. Offering serene home sites bordering ponds and dense tree lines, this is what you'll love coming home to at the end of each day! The Bramante will make you so glad you're home. The foyer welcomes you in, past a large flex room with optional glass doors and a coenient arrival center off the garage. The kitchen is a gourmet dream with plenty of counter and cabinet space, and an oversized island that's perfect for prep work and casual dining. It's open to the dinette and family room so you never miss a minute. Off of the dinette, a covered porch fills your home with light and brings the outdoors in. Tucked off the great room, nearby but still private, a luxurious owner's suite beckons. The standard tray ceiling adds a touch of elegance while the double bowl vanity and huge shower create a spa-like feel. The gigantic closet means storage will never be an issue!An extra bedroom rounds out the first floor, along with the option to turn the flex space into yet another first-level bedroom. Upstairs, another bedroom and loft offer a perfect guest floor, and there's even more storage! No matter what you choose, the Bramante comes in a variety of facades, all with covered entrances. The Waterford is a true estate home that features 4 bedrooms, 2.5 bathrooms, 2 story foyer, formal living room, formal dining room, 2 story great room, study and/or optional in-law-suite. The kitchen features an island and breakfast nook with optional morning room and 4' great room extension. The 2nd floor has an overlook to the great room and a luxurious owner's suite with French doors. Current new home buyers receive $20,000 in free upgrades plus take an additional 30% off the next $40,000 in upgrades/options. Located 12 miles from Dover, Delaware's state capital, Smyrna is coenient to Wilmington and Philadelphia, located to the north, and the Delaware beaches and the Eastern Shore, which are situated to the south. No wonder the town has become a hub for new construction. New Home buyers are moving here to enjoy low property taxes ? and low housing costs. Prices for LC Homes' detached residences start in the mid $200's! Delaware-based LC Homes offers five designs in this popular community, including ranches, two-story homes and elegant estate residences. However, there are is a limited number of new residences remaining in this fast-selling community. Act now to enjoy its many advantages. The community, with its walk-able streets, is designed around a clubhouse with a pool; some homes have pond views. Willowwood is near routes 13 and 1 for fast commutes to Dover, Middletown and Wilmington. For recreation, head to Garrison's Lake Golf Club or Bombay Hook National Wildlife Refuge. The community is close to such cultural attractions as the Biggs Museum of Art, Dover Downs Hotel & Casino, the Smyrna Opera House and the Schwartz Center for the Arts. JUST REDUCED! 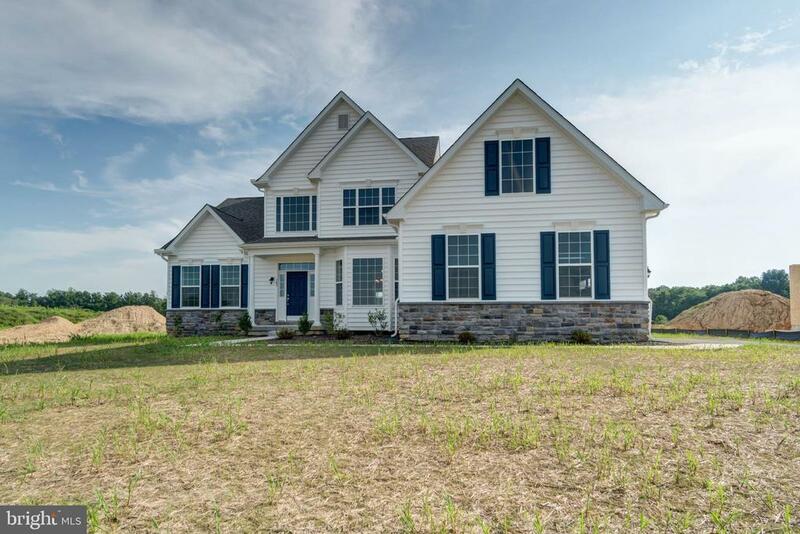 The Fallston II 4 bedroom 2.5 bath home has it all and will be ready to move in this spring. This colonial style home is designed with today's lifestyles in mind. Enter into a warm and iiting foyer leading to the heart of the home. The kitchen opens to a breakfast area as part of the open first floor plan which allows you to be a part of what's going on in the house no matter what room you are in. There is a spacious sunroom adjoining the kitchen. A cozy fireplace is the focal point of the family room. The very generous owners' bedroom has a spacious walk in closet and ensuite bath that includes a tub and stand up shower. Big bedrooms and linen closets for storage add coenience and space. Rough-in plumbing for a future powder room in the basement is thoughtfully added for coenience. The architectural shingles, carriage style garage doors and 9 foot first floor ceilings add value to your home as well as elegance. All this and more in the accredited Appoquinimink school district. Call for more information! Pictures may be of a model home with upgraded features, or a similar home. WOW, under $350K. 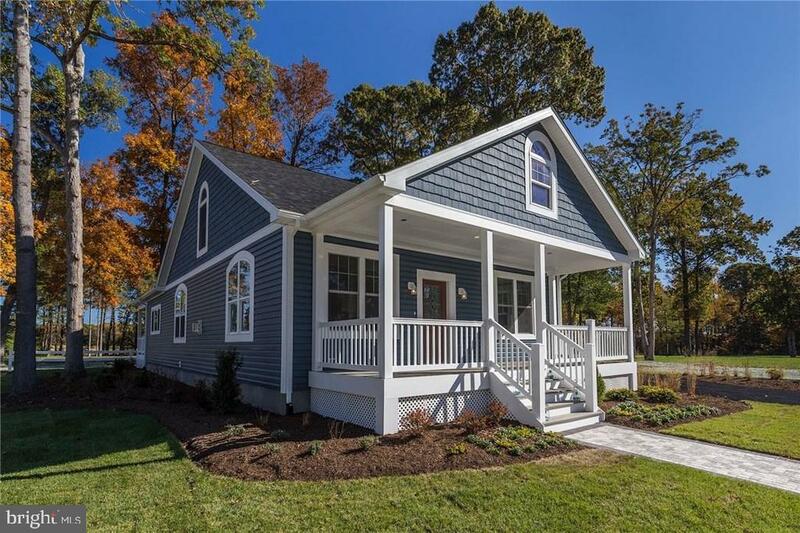 Beautiful "Brand New" custom home. Looking for a new home with all of today's popular upgrades? Open floor plan on your list? Want to be in one of Kent County's most popular Active Adult Communities? Look no further. This new custom home has everything you are looking for; Hardwood floors, Granite counters, 3 bed/2 ~ bath, Gas Fireplace, Stainless appliances. Dual HVAC systems, forced air gas on first floor and heat pump upstairs. Over 2000 Sq.Ft. of living space. Outside this home features Stone accents and a large front porch, large 2 car garage with garage door opener. This home also features a large corner lot, Extra-large covered rear porch (ready to screen in) and this home backs to trees for plenty of privacy. Low HOA fees ( $160.00 per month) include; grass cutting, trash, snow removal on the streets, sidewalks throughout the community, Clubhouse, outdoor pool, and more. Best of all, the community is finished, no living in a construction zone for years to come. Very low property taxes are estimated at $1,200 per year. One-Time Cap contribution fee $475($300 cap contribution,$175 management fee) Updated Landscaping! 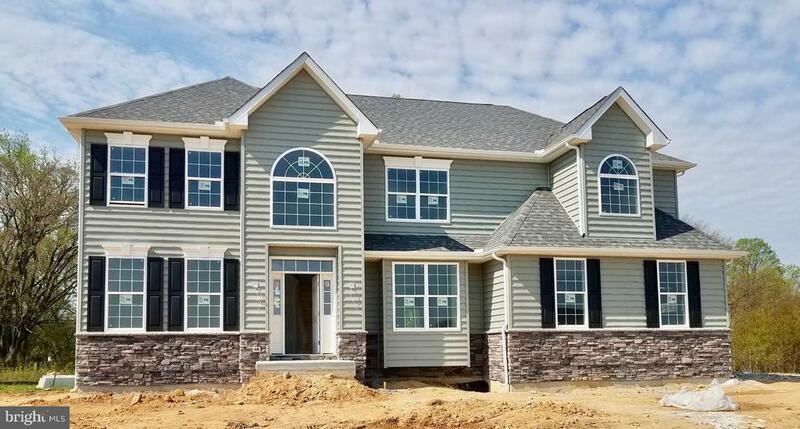 NEW CONSTRUCTION @ WHISPERING WOODS - Atwood - Come see what all the excitement is about Whispering Woods new 55+ community offers you all you need to retire in this 178-home private treed oasis. With all the amenities you could want, beautiful club house with heated pool, fitness center, caterer's kitchen, pickle ball court, bocce ball court, and horseshoe pits, just to name a few. Relax while we cut the grass, weed, mulch, and trim and we will even shovel that snow for you right up to your front door, trash removal is also included. Homes are designed for enjoyment, with open floor plans, great rooms, dining areas, private study, and designer kitchens. Large master suites with tray ceilings, master baths have tile floors and tile shower surrounds with a bench seat. 1, 2, or 3 extra bedrooms are available depending on the plan you choose. Many of our plans include a cozy front porch and all include a stone water table and concrete driveways that enhance your curbside appeal. Since we try to accommodate all your needs we will build to suit with lots of choices to build your perfect home, if you can dream it, we can build it. The sales center is open everyday from 10am to 5 pm or by appointment. Terry Burk and Terri Hill will be happy to answer all of your questions. 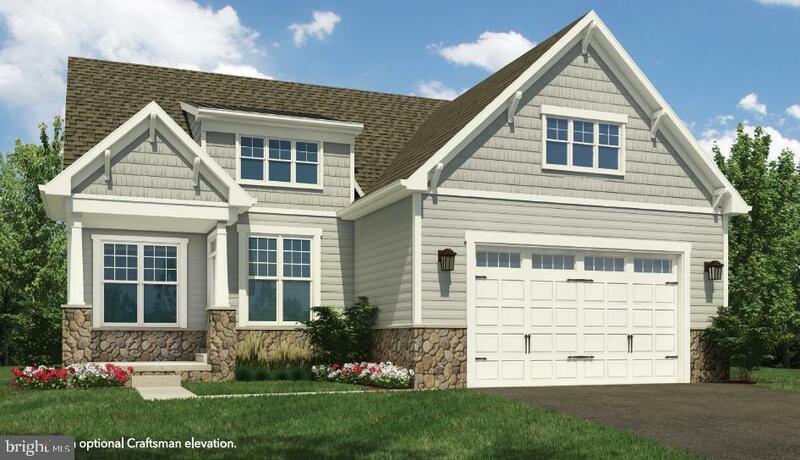 Spectacular new model, move-in ready, the Jamestown II. This home is far from ordinary. The Jamestown II is a very popular floorplan, and features many options to make your house a home. As you walk up you will see the wonderful front porch for those evenings with your family. The foyer is flanked by formal living and dining rooms. As you proceed through the foyer you enter the grand family room with a warm fireplace at the end wall ready for a 75 inch TV via the HDMI hook up provided. This home has a dream kitchen with granite countertops, stainless steel appliances and an island.This house has a large sunroom to open up that kitchen into a spectacular entertaining area. Behind the kitchen you will find a large mudroom as well as the powder room.You asked and we gave it to you, the laundry room is on the second floor for coenience at any time, walk down the hallway and you will find large bedrooms and of course the owners bedroom loaded with 2 walk in closets and an amazing tiled bathroom with separate shower and soaking tub. Photos may not be of actual home. Be a part of our newest community, Seagrove, developed by award-winning Natelli communities. 191 single-family homes in an unbeatable location off Iron's Lane - one quick turn off of Route 26 and you are in downtown Bethany Beach. Offering serene home sites bordering ponds and dense tree lines, this is what you'll love coming home to at the end of each day! If you~re looking for single-floor living without sacrificing the space of a two-story, the Carolina Place is the home you~ve been dreaming of! Arrive in the foyer and your view into the living area is framed by a graceful arch. Don~t forget to add the ceiling trim and fireplace for even more drama! The open concept, flexible plan gives you the space you need to live and entertain while still keeping things cozy and coenient. A huge rectangular island provides space to work, and a dinette makes space for informal dining. Don~t forget to add the morning room for even more room to entertain. Off the great room, nearby yet still separate, an arch leads to the owner~s suite. The owner~s bedroom, with its standard tray ceiling, feels elegant yet welcoming, while the owner~s bath features dual vanities, a large shower and compartmentalized water closet. Not one but two walk-in closets mean you~ll have plenty of storage space. Add the extended owner~s suite for even more room in your private retreat. The optional covered porch fits nicely into the rear of the home and brings the outdoors in. The secondary bedroom wing provides private access, while a mud room and closet off the garage make organization a snap. Want a more formal place to dine? The third bedroom can become a dining room, or even an optional study with double doors and bookshelves. Add the optional bonus room or bedroom and you~ll still have a three-bedroom home. The space on the 2nd floor is ideal for guests, a hobby room, or playroom. No matter what you choose, the Carolina Place is available in a mix of traditional and craftsman elevations, many with covered entryways. This remarkable new construction, quick move in home could be yours by the end of April! Homes' award winning Brentwood floor plan has everything you could possibly need. This amenity-filled resort community, Legacy at Heritage Shores, consistently wins prestigious nation-wide awards including Best Retirement Community, Best Active Adult Community in the Country, and one of the Best Places to Retire in the US and once you're here, you'll see why! *The low-maintenance lifestyle at Legacy at Heritage Shores means that, finally, your life is all about what you want to do, not what you have to do. Your neighbors will become friends in this close-knit community. Start your days in the 28,000 sq. ft. luxiurious clubhouse with card and game rooms, arts & crafts room, wood-working shop, computer rooms, libraries and more. Our full-time Lifestyles Director manages over 30 social clubs and activity planning. When the weather is right, hop in a golf cart to play a round at the Arthur Hills designed 18-hole golf course, complete with pro shop! to-be Built. The Azalea is a 2 bedroom, 2 bath ranch home starting at 1,331 square feet. This floor plan has everything on the first floor with an open great room, kitchen, and dining area. Additional options are available to personalize this home, including a screened porch, sunroom, luxury owner~s suite and outdoor patios. Jefferson Creek is a condominium community located just 1 ~ miles from downtown Bethany Beach. Lawn maintenance, exterior home maintenance & community pool included in the HOA. Transfer tax split for all buyers at closing.